What Are The Possible Complications After A Root Canal Treatment? Any procedure, medical or dental, is associated with the chance of some complications occurring. What are the complications that are associated with root canal treatment? We outline what you should know. A complication is commonly referred to as an unexpected side effect that can occur after or even during treatment. An example would be uncontrolled bleeding during a surgical procedure. There was no indication or expectation that such a complication should happen. Similarly, there are a few complications that patients should be aware of when they are getting or planning to get root canal treatment done. A tooth which has been root canal treated is going to be much more prone to breaking than a normal tooth . This is something that happens because of the way in which the root canal procedure is performed. Quite often, the teeth requiring a root canal treatment are already quite destroyed. Drilling into them and removing the decay can make them weaker and cause them to crack once the normal chewing forces start to act on them . The occurrence of cracks or breakage of the tooth can be reduced by placing a crown to cover to the tooth, although even that is not a hundred percent guaranteed remedy . It is impossible to predict the exact amount of forces that will be placed on a tooth or when a patient ends up biting something extra hard in that region. The vast majority of the teeth that have undergone root canal treatment will be pain-free for as long as they exist in the mouth thanks to the improved root canal techniques available to dentists nowadays . This lack of pain is one reason why even a crack of a break in the tooth may not be immediately detected. In some case, though, the pain persists even after the root canal treatment has been completed. The first few weeks after the root canal treatment has been done could be painful in normal course but if the pain persists even after that then something is definitely wrong . The most common reason for pain is incomplete cleaning of the root. If some nerve endings are left inside the root or a canal has been missed completely then that area will continue to pain . In extremely rare cases, the micro-organisms inside the root are resistant to the chemicals being used or have penetrated deep inside the root where they cannot be eradicated . These may start to cause infection after the treatment has been completed and end up causing pain. The dentist can retrieve the filling material put inside the tooth and retrace the steps of the root canal treatment. This re-root canal treatment can end up saving teeth which were failing after a poor formed root canal treatment . Every single tooth is designed to withstand a certain amount of load before which it starts to undergo destruction. A lot of the times, a root canal treated tooth may be a part of a bigger dental bridge which can increase this load on the tooth beyond what it could handle. Even if the tooth is not a part of a bridge, just having root canal treatment performed can reduce the strength of the bone and tooth. Normal chewing forces may start to strain the tooth and end up causing some amount of bone to be lost from around the tooth . In a normal, healthy scenario, the bone surrounding the tooth keeps it firm. Once the bone starts to get destroyed, though, a vicious cycle forms where the tooth keeps becoming less capable of bearing chewing forces, causing more bone loss until the tooth finally has to be extracted. Another potential complication of root canal treatment is the recurrence of decay on the treated tooth or the neighboring teeth . We say this unrelated because the actual root canal treatment procedure does not have anything to do with it. The crown or cap that is placed on the tooth after the completion of the root canal can make it difficult to clean that area adequately. Some amount of food may also get stuck in the area allowing bacteria to grow with ease. In such a scenario, recurrent tooth decay is not only likely but almost inevitable. 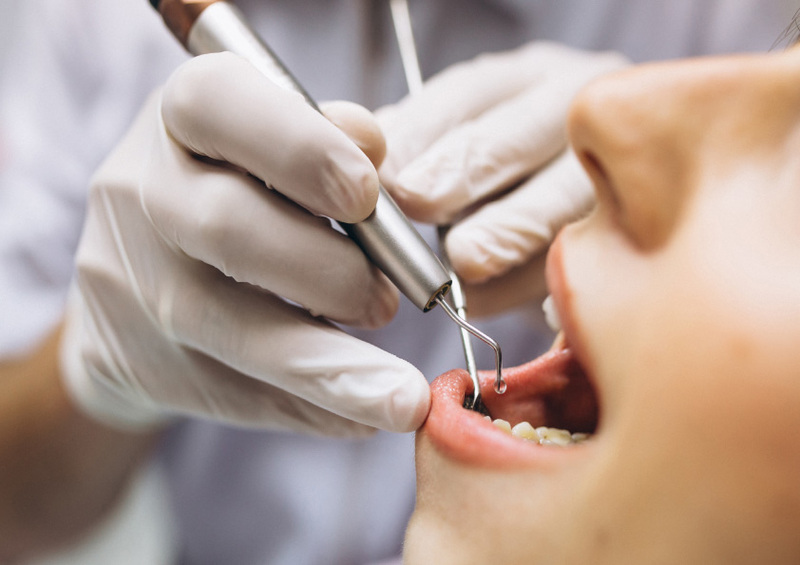 As a patient, you must practice stricter oral hygiene after having a crown installed in the mouth because its artificial surfaces are naturally rougher than the tooth and easier for the bacteria to latch onto. If there is any area where some food is getting stuck then speaking to your dentist is advised. It is important to remember that properly performed root canal treatment does not cause any complications. All the complications that are mentioned above are due to operator error or resistant strains of micro-organisms or just poor case selection. Perhaps an increase in the brittle of the tooth after root canal treatment is the only thing which cannot be prevented. When the only option to root canal treatment is the extraction of the tooth, these do not seem to be anything to be overly worried about.